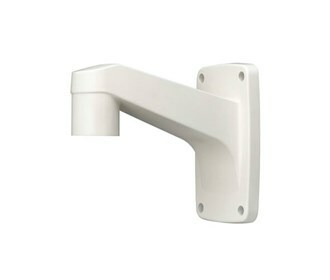 The Samsung SBP-300WM1 is a PTZ or Dome wall mount accessory made of aluminum and available in ivory. This accessory uses a 1 1/2" female threads. The Samsung SBP-300WM1 has many exciting features for users of all types. You can extend the lifetime of your Samsung SBP-300WM1 with the purchase of a FactoryOutletStore Factory Protection Plan. The Samsung SBP-300WM1 is sold as a Brand New Unopened Item.